NOTE: The drive was conducted in Germany in German-spec car. Taxi time! The Mercedes Benz "E-class" has dominated Germany's taxi fleet for quite some time and the E220 CDI (the subject car being the BlueTEC BlueEFFICIENCY edition) is currently the favourite taxi model in the range to fill that role, both in its sedan and wagon guise. 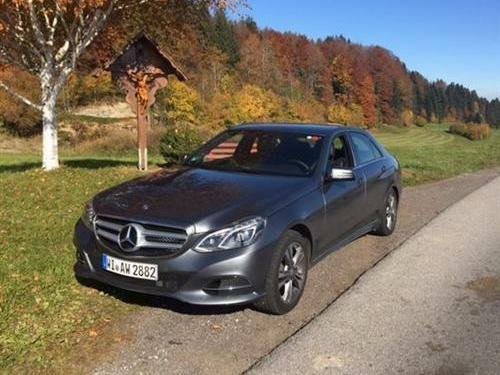 It's also a popular Executive express, and commonly performs general and also Autobahn policing duties. The "E" is a great place to be in and it's easy to understand why it is so popular in its segment back in its homeland. This trip which criss-crossed Germany covered 3,581 kms in less than 10 days. As per the trip computer, that's 47h08m spent in the car! What was really outstanding during this period was the fuel consumption of 7.1l/100km (as per the trip computer, once again). The average speed was 76km/h indicating rather swift progress over the entire distance covered; the 3,581kms included fast Autobahn trips as well city traffic in various German city centres. The 2.1 litre, 125kW 4 cylinder diesel offers easy and smooth progress - it is now coupled to Merc's own 9 G-tronic and the performance and fuel consumption figures win on a large scale. According to Mercedes-Benz the extra 2 gears improve fuel consumption by 6.5%. It's probably a little different in Australia where gears 8 and 9 may perhaps be redundant, unless you commute regularly between Darwin and Katherine. If you do then you can enjoy 2,500rpm at 200km/h, in 9th gear obviously. Most impressive though I found the gearbox's choice of gear at any one time and that it didn't hunt around for gears as I feared given the vast amount of choice of gears available at speeds below 130km/h. Great calibration and a brilliant match. Four hundred Nm of torque delivered at 1,400-2,800rpm provides ample oomph! Think back late 80's, early 90's the performance you get here is up there with the top S-classes of the day, say a 560SEL. Luckily, fuel consumption isn't up there too. 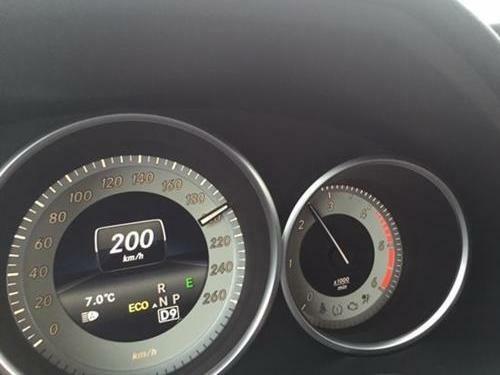 Mercedes claims 8.6 seconds to 100km/h and a top speed of 222km/h… I saw 230km/h a couple of times, allowing for the usual speedo error. There is a little trick to gaining the best fuel consumption whilst enjoying fast blasts on the Autobahn. That's using the torque rather than revs to moment the car to higher speeds. So working in with the throttle and paddle shifts on the steering wheel you look for higher gears rather than booting it and shifting down every time the road clears ahead of you. It's easy to do in this car and you get rewarded with frugality. At this point, back home in Australia, the E220CDI remains fitted with the 7G-tronic PLUS gearbox, and that works just fine. The 9G-tronic is filtering its way into various Australian delivered Mercs though - eg. the new GLC class. Meanwhile, our German "Taxi" made a great travel companion over so many kilometres in such a short time. It is so easy to see why the "E" is so popular, especially as a work horse and loyal companion to those who eat up long distances. The cabin features everything one could wish for - the only gripe I have is that the seats, or seat adjustments perhaps, could be more comfortable. Maybe the Germans could look at adding some Swedish flair. This car is at home wherever you point it - city traffic, or crossing continents. It doesn't matter, it delivers. Space is in abundance, even with 4 adults on board. Mercedes designed its cruise control many years ago; and, to this date, it is still my favourite one to use. It holds speeds beautifully and enthusiastically, which makes it especially useful in Australia as to avoid any "speed photo paparazzi" that hide out and about on our roads. It also comes with a speed limiter function. Very simple and effective. 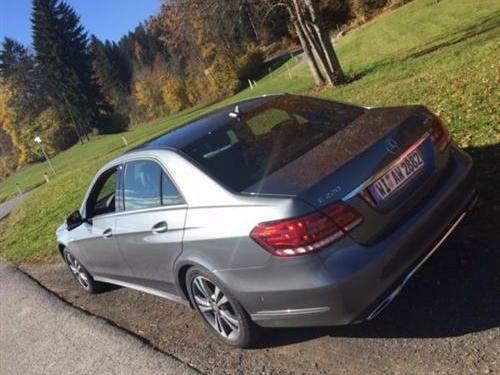 In summary, you can tell that we like the "E"; what this reviewer especially likes is that the E220CDI fulfils and excels at anything you throw at it and satisfies any need; so that going beyond the "220": to the "250", "300", or even the "400" or "AMG" version, should make things even more attractive. In Australia, the Mercedes-Benz E-Class sedans are priced from $80,400*. The drive car was a German spec model, which varies from Australian spec models. The car for this test drive was privately sourced. * Manufacturer's List Price (MLP) excludes dealer delivery fees and the numerous statutory charges (commonly known as on-road costs). Additionally, please note that all prices, fees and charges are subject to change without notice.